BPO stands for Business process outsourcing. It is a contract of a company to an outside provider of services or business processes. It is a cost-saving measure that allows companies to outsource the non-core tasks. This may include manufacturing or back-office functions such as accounting, data entry and human resources. It also includes front-end services like customer care and technical support. Thus, BPO services can be divided into back office outsourcing and front office outsourcing. Onshore outsourcing: It is also known as domestic outsourcing. It refers to obtaining BPO services from someone within the same country. Nearshore outsourcing: It refers to obtaining BPO services from someone in the neighboring countries. Offshore outsourcing: It refers to obtaining BPO services from an external organization in another country except the neighboring countries. The major and the most important reason for which outsourcing is implemented, is a significant and massive cost reduction. It reduces the cost of the tasks that a company requires. 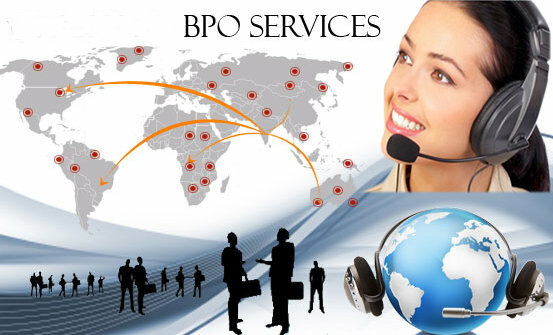 BPO is an organization which is responsible for performing a process of another business organization. It is used to save the cost or gain the productivity. On the other hand, Call center is a part of client's business. It involves handling telephone calls. It is used to solve customer's complaints and requests over telephone calls. Note: A call center can be considered as a BPO, but BPO is not a call center.